If you follow us on Instagram (which you should!) then you know that we post photos of Mexican dishes on a regular basis. What can we say? Vegan girls loooove guacamole. On medium, heat coconut oil in large pan. Add garlic and onions, then fry until golden. Remove garlic and onion from heat and place in blender or food processor. Add black beans, pepper, lime, lemon, water, olive oil, and seasoning. Process until smooth. If consistency is thicker than desired, add additional tablespoons of water and continue blending. 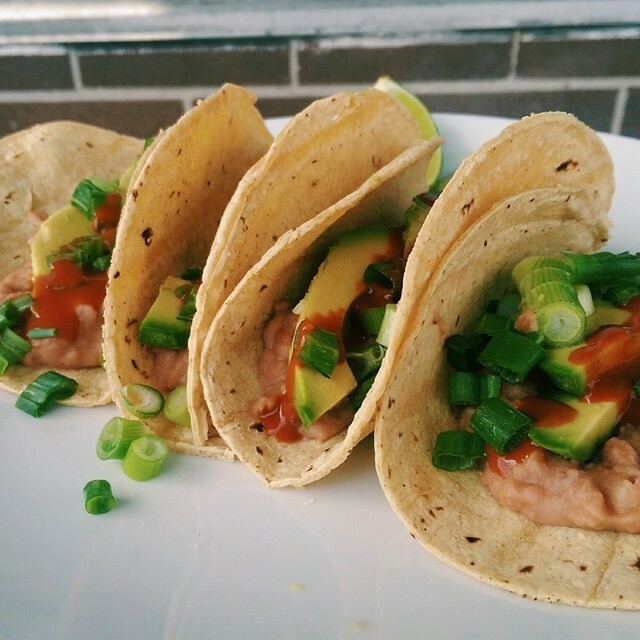 Serve the beans with warm corn tortillas, green onions, avocado, hot sauce and additional vegetables. ¡Buen provecho!